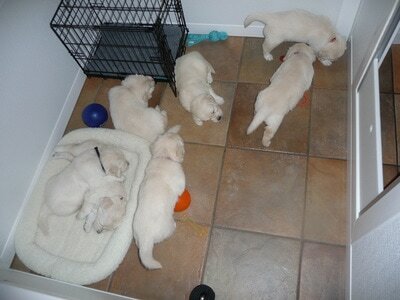 At Wyndance Goldens when we have a litter on the ground, we make it our full time job. We take raising puppies seriously - because we know beginning experiences form the foundation for their lives. 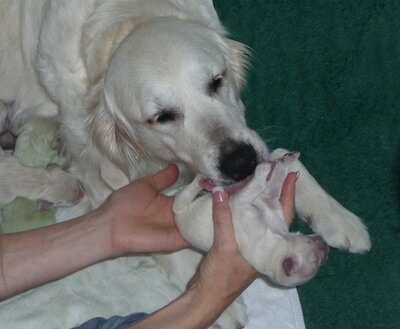 We look at the "whole puppy" and focus on enriching each one of them from the earliest possible moment. We know that the best possible start in life consists of many factors including nutrition, stimulation, grooming, socialization, patience and love. Once the puppies reach three days of age, and both mom and babies have had plenty of rest and quiet time together, we begin Early Neurological Stimulation. There are five benefits to early handling and stimulation none of which occur naturally at this stage of life (day 3-16). 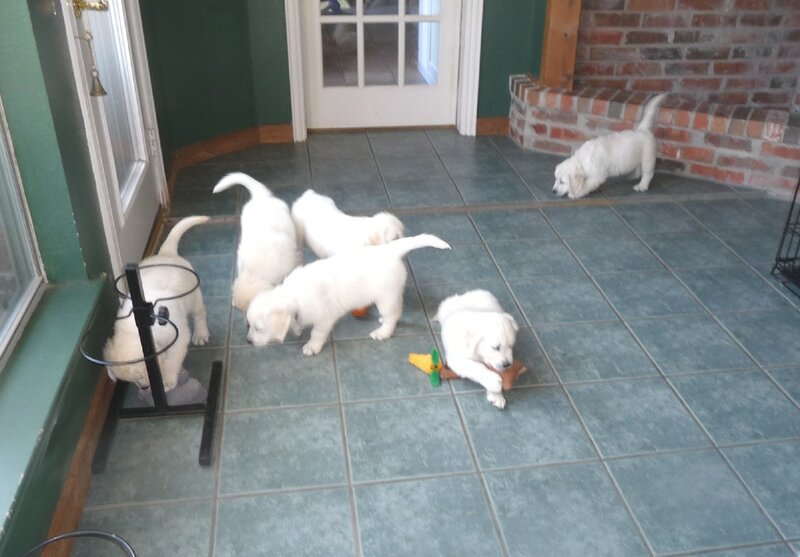 This early stimulation, along with handling, socialization and a highly enriched environment help the puppies transition to their new families with less stress. 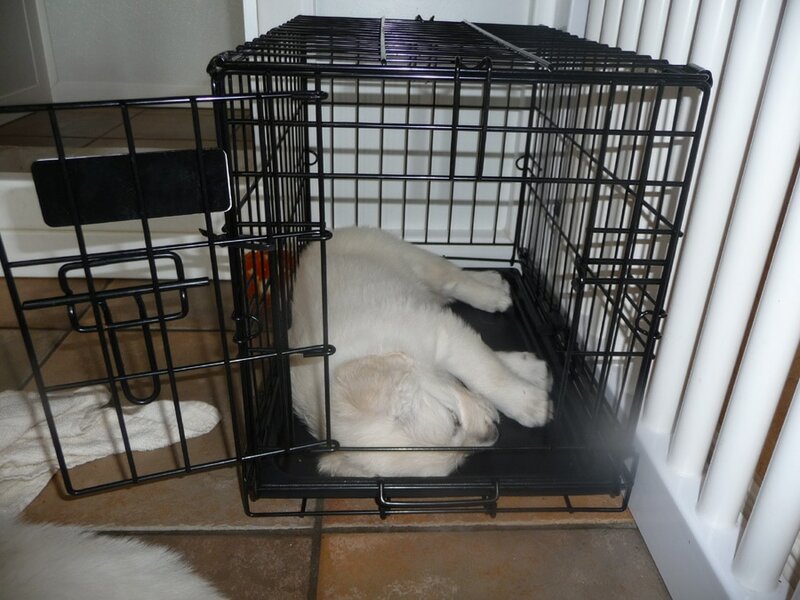 At approximately three weeks of age, when the puppy's ears and eyes are open and they are mobile, the whelping box is moved to the main kitchen area with a play area attached where they are exposed to many different surfaces, sounds, toys, colors and movable items. This type of stimulating environment is essential to learning, building resiliency and creating confidence in each puppy. 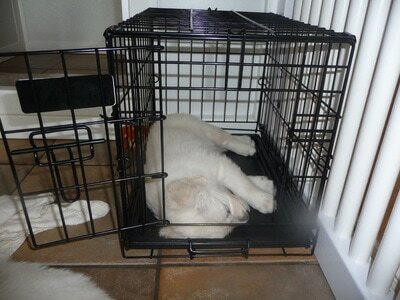 At this time house training begins as they have separate areas for play and potty. 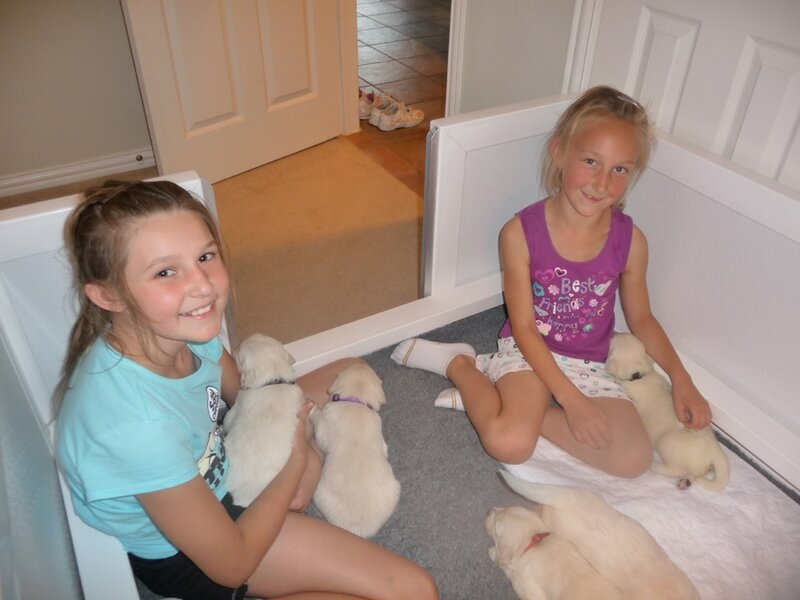 At four weeks of age, we allow new Wyndance puppy owners to come visit and help socialize the puppies and bond with them, although they will not know which puppy will be theirs yet. This is where the new puppy owners' education also begins, and topics such as diet, vaccinating and training are discussed. Between 4-5 weeks of age (weather permitting), the puppies go outside to play in a separate fenced area complete with "puppy agility" equipment. 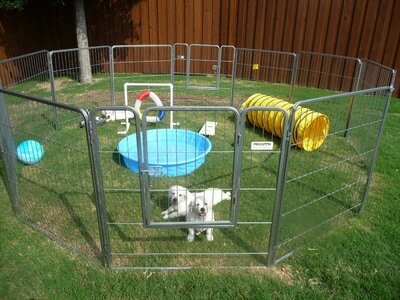 Our Spring and Summer babies also have a "baby pool" where they learn to view water as fun. When the weather does not cooperate, we have a large indoor "puppy room" complete with toys, crates and a bell/door to the outside. 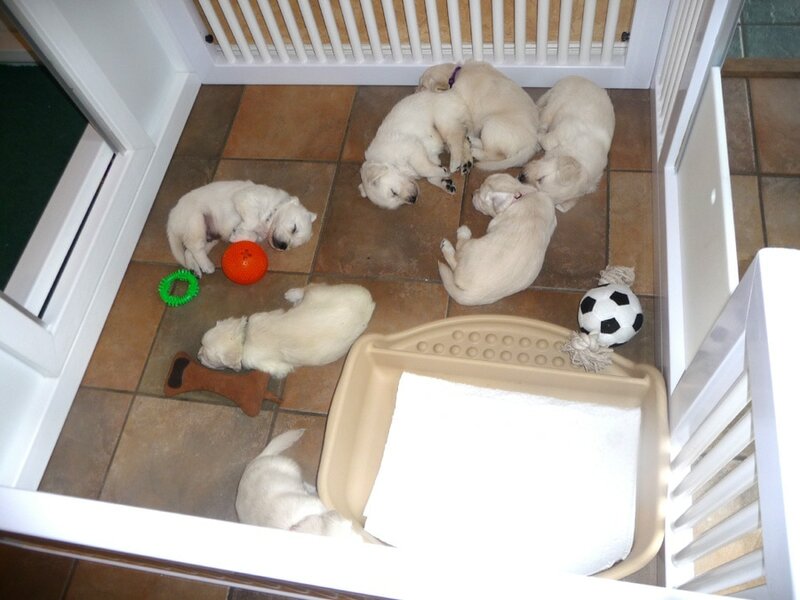 At seven weeks of age, the puppies are temperament tested. We use the Volhard Puppy Aptitude Test (PAT) and fellow breeders and trainers help us evaluate each puppy. 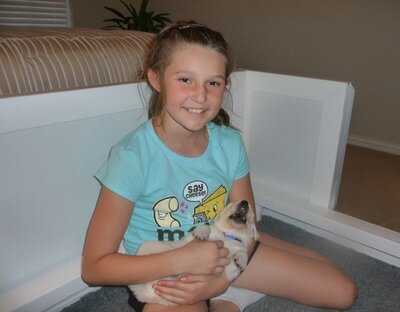 This information helps us match the right puppy to their new homes. At approximately 53 days of age, the puppies are evaluated for structure using Pat Hastings Evaluation Method. 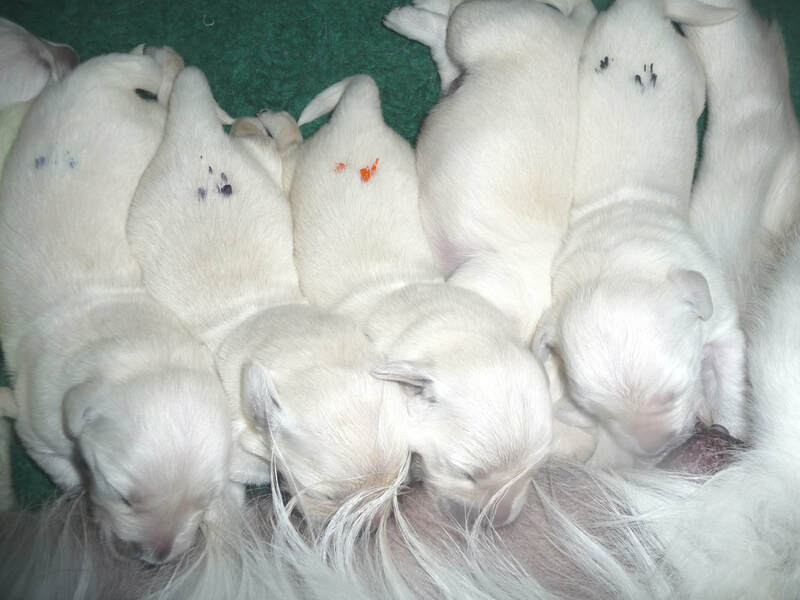 With the help of other breeders, we choose show prospect puppies in a litter. Pet puppies may go to their new homes beginning at 8 weeks of age. Show prospects may be held back longer. 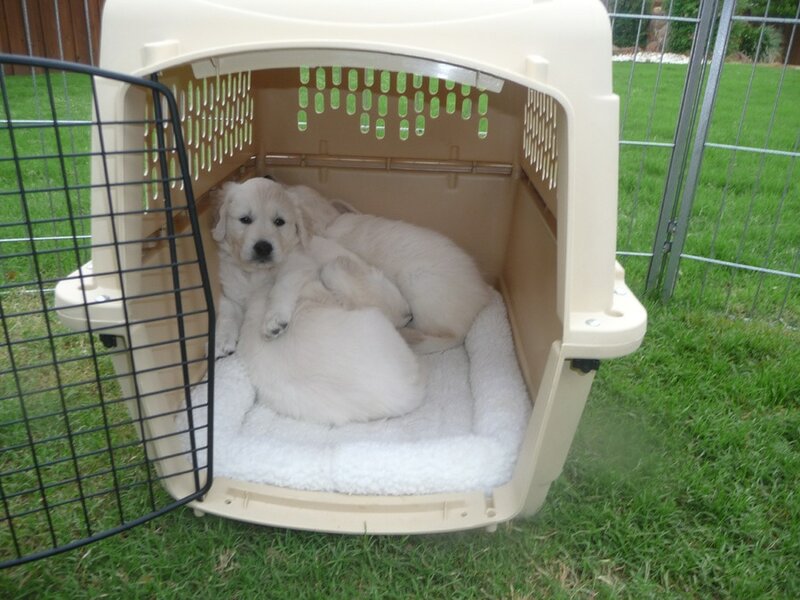 Puppies go home with a New Owner Binder (which includes valuable information, copies of important documents, photos etc. 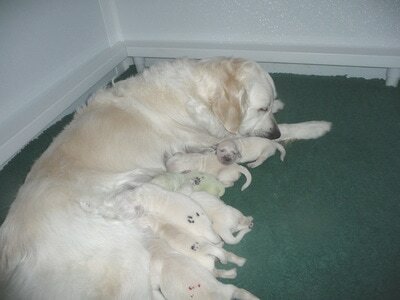 ), food, a towel with the scent of littermates/mom, and are microchipped. 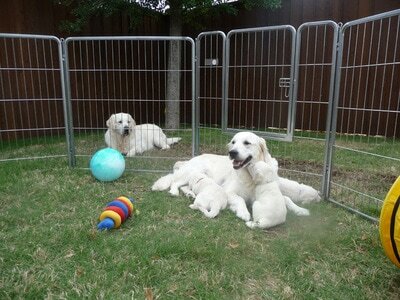 As you can see, we put a lot into raising our puppies and we hold our puppy families to the same high standards. We require early socialization and ongoing training to continue the work we started. 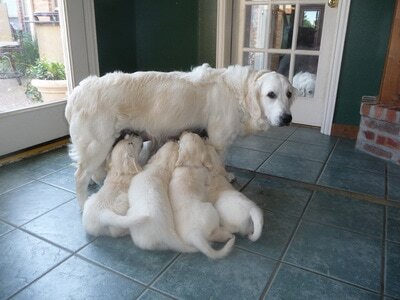 We do offer beginning puppy training at an additional cost for those who are interested. You may contact us for more information. Raising a healthy well-balanced dog is a big responsibility and should not be taken lightly. 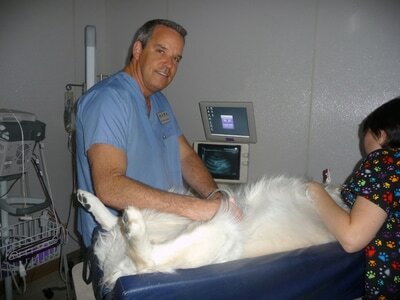 We are always available for support on any issue throughout the lifetime of your dog. 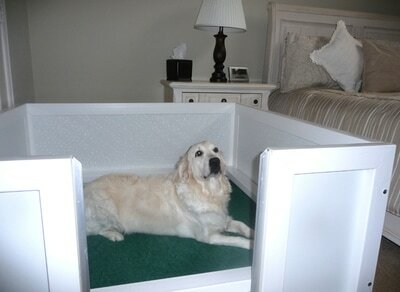 with the way we have already been raising puppies for many years! 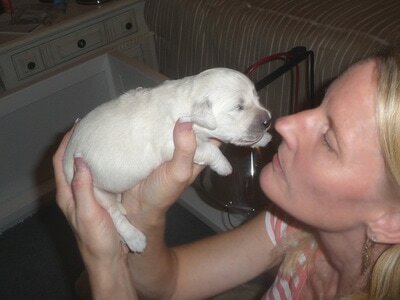 Please visit our Puppy Culture page for key rearing and socialization points. Outdoor "Play and Learn" area.